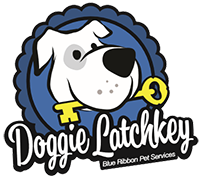 Doggie Latchkey’s professional puppy care services are tailored specifically to your pet, and will incorporate key puppy training techniques at no additional cost. We find that this combination approach works very well, and it’s a great value for our clients. Please learn more about our service for puppies below, and get in touch with us to schedule service in your area of Michigan. For a list of cities we work with, please visit our Service Area page or call our office. As any pet owner knows, puppies have special needs, and our puppy pet sitting services are tailored to meet those needs. The first year can present challenges if you are away from the home for long periods of time. Most experts recommend crate training as the preferred method to house train your puppy, but not for more than 4 to 5 hours at a time. This can present difficulties for working puppy owners. Our standard puppy care package can assist with housebreaking and crate training so your puppy is comfortable during the day until you are home. Your puppy will be taken outdoors immediately and given lots of praise and encouragement. Basic commands that you are working on can be positively reinforced. Doggie Latchkey is proud to offer professional puppy training from our on-staff certified canine trainer, Jen. Let us design a puppy training routine that is tailored specifically to your growing puppy’s special needs. Doggie Latchkey’s professionals can train your puppy in your presence, or even when you are at work or on vacation. We use a gentle training technique and provide owners with leadership skills to further enhance our efforts. During our initial one-hour consultation, we will evaluate the needs of your puppy and, because no two dogs are alike, we will design a training routine tailored specifically to your growing pet’s needs. We will also provide a training manual that will serve as a reference as your puppy grows. The most important aspect of our training is the one-on-one time we spend with your puppy. We have learned that nothing is more important in puppy training, and classroom environments cannot come close to matching the individual attention we can provide. Doggie Latchkey’s training programs are also successful for dogs of any age, not just puppies. Contact us for puppy sitting today!